Watch full One Piece Season 14 Episode 57 English Dubbed full HD online. 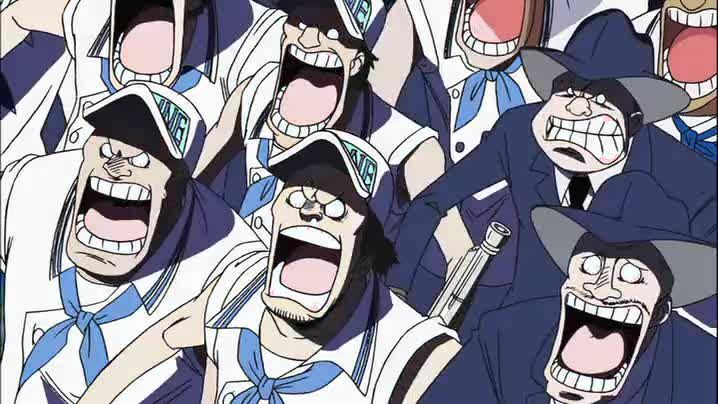 One Piece Episode 515 English Dubbed online for free in HD. I Will Get Much, Much Stronger! Zoro’s Pledge to his Captain! At the Tehna Gehna Kingdom, Brook is displayed to the townsfolk while reading the newspaper. Brook tries to train himself so he can reach 40 degrees, but this fails. The skeleton decides to perform his new song, “Bone to be Wild”, on a guitar. Meanwhile, under the East Blue’s large bridge, the Revolutionaries learn of Robin’s past with Crocodile as they depart to Baltigo. Despite Robin’s initial reluctance, the archaeologist finally decides to improve herself by joining them. At the Bowin Islands, Usopp tells Heracules about his past with Luffy and decides to train under him to become stronger. Heracules tells Usopp about the Pop Greens, which can be used as a weapon, before he begins to exercise again. On Kuraigana Island, Mihawk declines Zoro’s request to train him, but after realizing that Zoro defeated the Humandrills, Mihawk finally decides to teach him. Zoro then proceeds to begin his training by fighting the Humandrills again. The other Straw Hat Pirates are informed that in two years from now, they will reunite with Luffy at the Sabaody Archipelago.